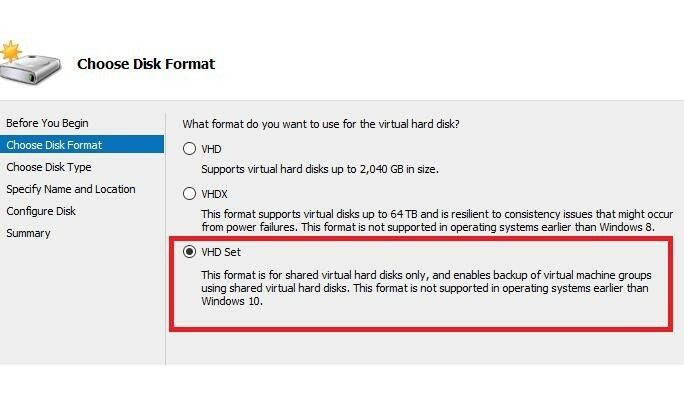 The next useful innovation that appeared in Windows Server 2016 is the new format of virtual disks — VHD Set (VHDS) enabling the simultaneous use of one virtual disk by multiple virtual machines. This feature is used in guest cluster scenarios (file cluster, SQL Server AlwaysOn FCI, etc. ), when shared disks have to be available for all virtual machines cluster nodes. 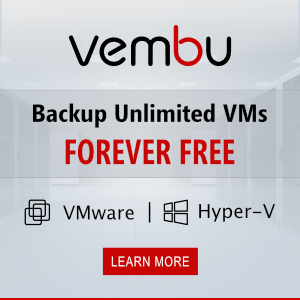 VHD Set technology is designed to replace Shared VHDX feature and also doesn’t not require the configuration of virtual HBA and SAN for the presentation of one LUN to several VMs. To create a new VHD Set, select New -> Virtual Disk in the graphical menu of Hyper-V Manager. Specify VHD Set as disk format, then select the type of the disk (fixed or dynamic), file name, location and size. Here is an example how to create a wo-node guest cluster using VHDS. (Get-ClusterResource |? Name -like "Cluster Disk 1").Name="Quorum"
(Get-ClusterResource |? Name -like "Cluster Disk 2").Name="Data"
If you have done it right, a two-node guest cluster will appear. So, VHD Set in Windows Server 2016 allows to create a MSFT guest cluster without using complex technologies, like NPIV, virtual HBA and virtual SAN network. Virtual VHDS originally supports changing size, snapshots and migration.